On the sidelines of the nuclear talks in Vienna, families of Americans detained in Iran have appealed for their release. 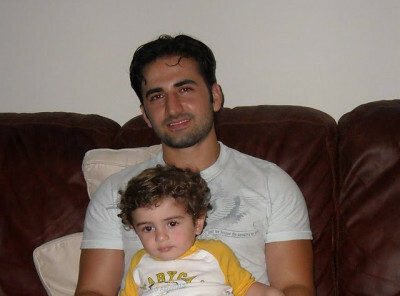 Amir Hekmati, a former US marine, has been behind bars since he was detained while visiting relatives in Iran in August 2011. He was initially condemned to death before the sentence was commuted to a 10-year prison term. Jason Rezaian, the Washington Post correspondent in Tehran, was seized last July. He is currently being tried for espionage. I spoke with ABC News of Australia this week about the cases. MARK COLVIN: The families of two American-Iranian men being held in a notoriously brutal Tehran prison have travelled to Vienna to demand their release. They’re hoping that US and Iranian officials that are already there for nuclear talks, will take their cases up with authorities in Iran. Journalist Jason Rezaian is facing espionage charges and former marine Amir Hekmati has been detained for four years. But their families say they’ve done nothing wrong. SARAH SEDGHI: Washington Post correspondent Jason Rezaian was living and working in Iran until he was detained 11 months ago. He’s being held on charges of espionage but his family say he’s innocent and that he’s built a career reporting about a country he loves. Their appeals for his release have so far been resisted, so his brother Ali Rezaian has gone to Vienna to try and reach Iranian officials there for international negotiations. He told CBS News so far he hasn’t managed to speak to anyone. ALI REZAIAN: Iranians don’t talk to me, we’ve tried to have meetings and they just won’t talk at all. SARAH SEDGHI: Jason Rezaian’s trial began in May in a closed court in Tehran, but his trial is now on hold. He’s being held in Tehran’s Evin prison — a jail known for harsh interrogation tactics and human rights abuses. Former US marine Amir Hekmati is being held at the same prison, serving a ten-year sentence for cooperating with a hostile power. Scott Lucas, a professor of international politics at University of Birmingham says there’s no evidence the two American men have done anything wrong. SCOTT LUCAS: First, we’ve seen no public evidence, absolutely no public evidence that either man is guilty of the charges. Indeed we’ve seen no public evidence at all, because they are tried behind closed doors. We’re at the point where these men have not received justice. SARAH SEDGHI: Amir Hekmati’s sister Sara has also travelled to Vienna asking for his release and told NBC the last few years have been frustrating. SARA HEKMATI: You know, obviously for us as a family we are struggling, and we’ve gone through four years of ambiguity, we’ve had very little communication, if any, from Iranian officials. We’ve written letters appealing that Amir is innocent and this is a mistake, and we hope that this gets to their ears of the officials that are here, that can go back and help us. Time is not on our side; my father was diagnosed with cancer while my brother was in prison, and Amir had no knowledge of this, and now he has suffered two strokes. The doctors actually wrote an appeal for the officials here as well, which we delivered through the state department while we were in Vienna. But we shouldn’t have to come to Vienna to have our voice heard. SARAH SEDGHI: Sara Hekmati and Ali Rezaian have been appealing to Iranian officials who are in Vienna negotiating a nuclear deal. Iran has been in discussions with representatives from six other countries, including the US, over its nuclear program. Professor Lucas says a nuclear deal could transform human rights in Iran. SCOTT LUCAS: I think there has been a repeated issue in public about the effect of a nuclear agreement on other issues such as justice and human rights, including the cases of Amir Hekmati and Jason Rezaian, the Washington Post journalist. But not just those cases – the cases of scores of Iranian journalists, student activists, lawyers, political activists who have been held in person without charges for years, and in some cases more than decade. I think it’s interesting that if nuclear file is resolved it could open up Iranian political society and it could open up those human rights cases because the Rouhani government, which wants to somehow deal with the political and judicial issues will be strengthened by this agreement. MARK COLVIN: Scott Lucas, a professor of international politics at the University of Birmingham ending Sarah Sedghi’s report. NextSyria Daily, July 4: How Far Can Rebels Go in Aleppo?